This article explains in detail how File Share Wizard software works. 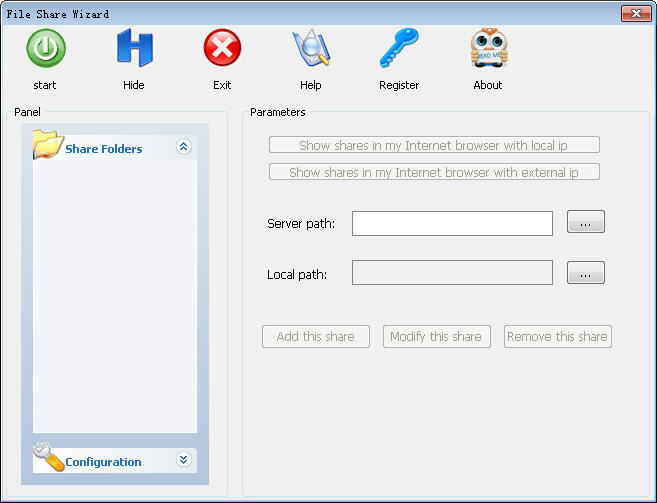 The first step of using File Share Wizard is add a user and share folder. After you have added a user,please click button "Apply" to make configuration effective. Input your "Server path" and select a local path on your disk,then click "Add this share" button. 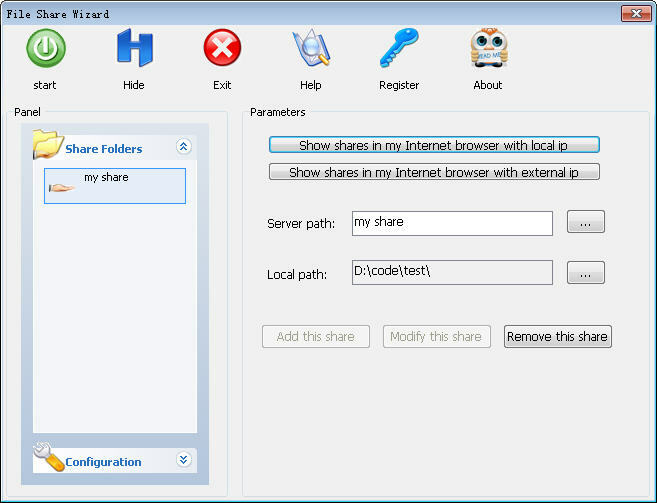 After successfully added a share folder,you can click "start" button to start your personal web server.Then click button of "show shares in my Internet browser with local ip" and input your user name and password,you will see your share folder in your browser. 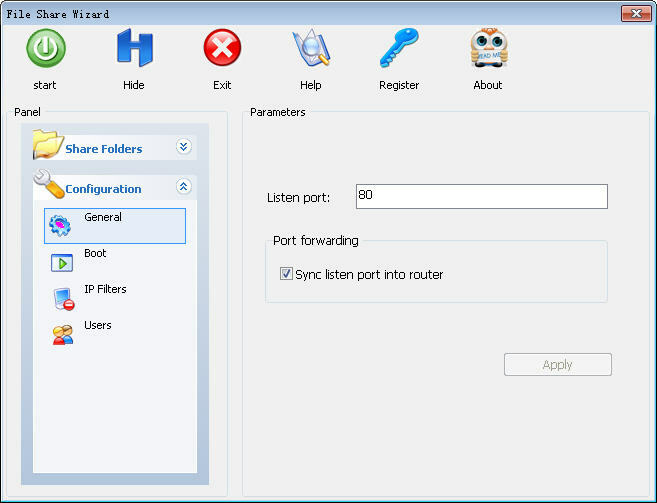 Listen port is the port that File Share Wizard will listen.If you check option of "Sync listen port into router",File Share Wizard will add the listen port into router as a port forwarding.So your friends can access your pc that behind your router.After configuration changed,please click button "Apply" to make changed effective. If you click "Boot" menu,you will see parameter of "Run at windows startup","Start reduced in systray" and "Start server on application load". If you click "IP Filters" menu,then you can configure if File Share Wizard enable "IP Strategy",if you choose the option,then you can add allow ip address list and block ip address list to make sure that only authorized ip can access your web server and share your files. All those functions together,File Share Wizard is a very powerful file sharing software.